Topical treatment of fungal infections has several superiorities over oral treatment. However, the greatest challenge for dermal delivery is the stratum corneum which is considered an effective barrier for penetration of most antifungal drugs into deeper skin layers. 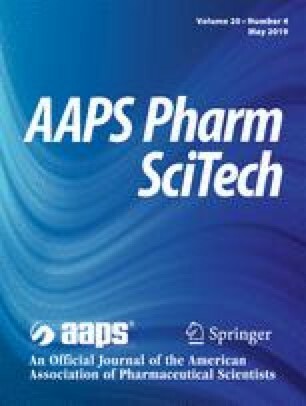 Terconazole (Tr), which is the first marketed triazole antifungal, was reported to be one of the most active azoles against vaginal candidiasis. Nevertheless, our work group is the first to investigate the potential of Tr in the treatment of skin mycosis via integration into lecithin microemulsion-based lipogels (LMBGs). The microemulsion regions of the investigated systems were detected through ternary phase diagrams. The in vitro characterization studies revealed promising physicochemical merits for the selected LMBGs as well as satisfactory in vitro antifungal activity. The current research work was endeavored to investigate the potential of such novel Tr-loaded LMBGs in comparison with conventional gels. Ex vivo permeation and retention studies in addition to in vivo deposition study showed a significant improvement in the permeability of Tr through animal skin from LMBGs compared to other conventional gels. Furthermore, the optimized microemulsion lipogel proved to be safe and a nonirritant to experimental animals through the acute sensitivity study and histological skin examination. Overall, lecithin-based microemulsion lipogels of different composition confirmed their potential as interesting nanocarriers for skin delivery of terconazole compared to current therapy. Janssen Inc. TERAZOL® 7 terconazole vaginal cream 0.4% w/w, product monograph. 2014:1–23. http://scholar.google.com/scholar?hl=en&btnG=Search&q=intitle:Product+monograph#2.